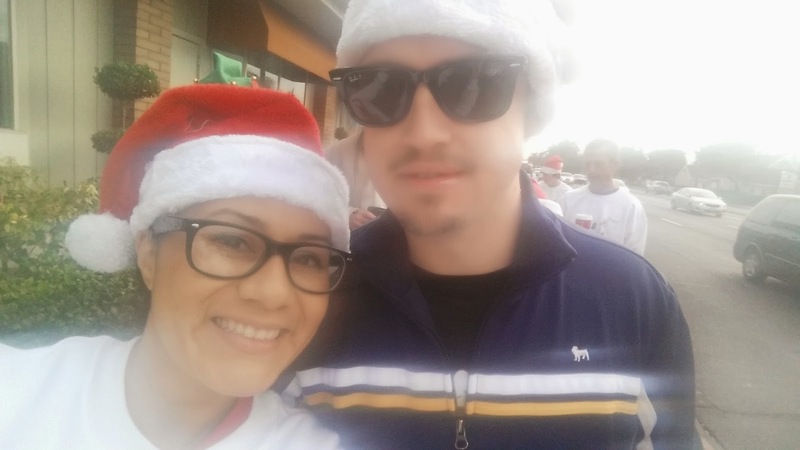 Yesterday I ran in my local Jingle Bell Run 5k. It was a blast. The best part about this fun race was that my husband and running partner both ran it with me. After a week in Vegas I needed this! I am in in the midst of my half marathon training so it's crunch time. There were a ton of Santa hats, jingle bells, festive socks, and warm cozy Christmas sweaters. It was fun seeing everyone in their Christmas decor. I even got my husband in the spirit by having him wear a Santa hat. Oh the things you do for love! My husband hadn't really ran in close to 2 years...so today he's a bit sore. Poor guy! It was super packed! I literally felt like a sardine during the first mile of this race. I knew I wouldn't get the best time. I just wanted to have fun. I think the first mile was about an 11 minute pace due to how packed it was. 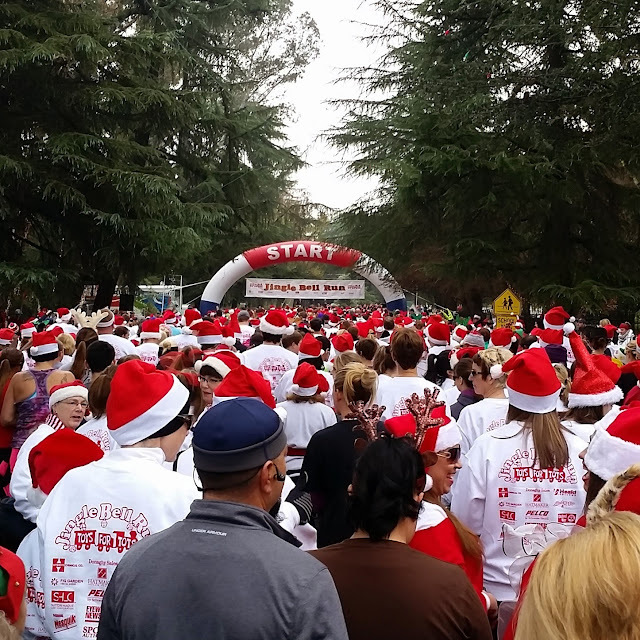 People that were walking the course managed to get in front of me so that was kind of annoying but since I was in the holiday spirit I let it go. I still burned a few calories and after the first mile the course cleared up. The last two miles I was able to get back to my normal pace. The course goes through Christmas Tree Lane. 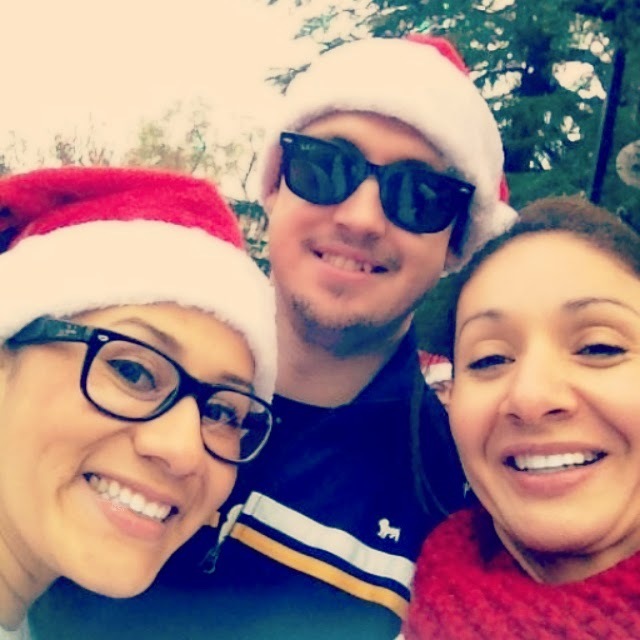 Christmas Tree Lane is one of the longest running holiday events nationwide...92 years! More than 100k people visit each year to see all the light decorations. It's beautiful at night to see all the houses light up with Christmas lights. The course brings all the locals out to support and cheer on the runners. The quick loop runs through one of the prettiest neighborhoods in our city. The funny thing is that I've been running with my running partner for close to 2 years and we had never taken a picture together until yesterday. Doesn't she look great! She is such an amazing person and has been one of my biggest motivators during the past two years. I am a better runner because of her. 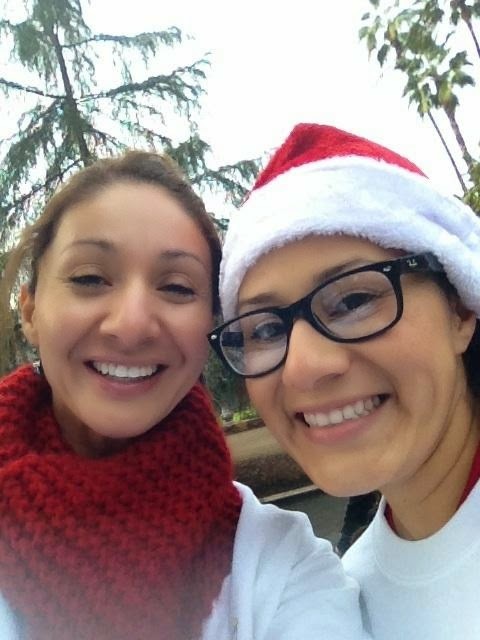 The goodies you received from this race were a sweater, jingle bells, cookies/pastries and hot chocolate at the end of the race. Even though it was jam packed there were enough porter potties and even had a water station for the full 5k course. Overall I would highly recommend this race. 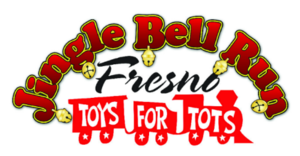 Who wouldn't want to run a local 5K that donates to Toys for Tots? And who wouldn't want to get in the festive spirit and dress up? 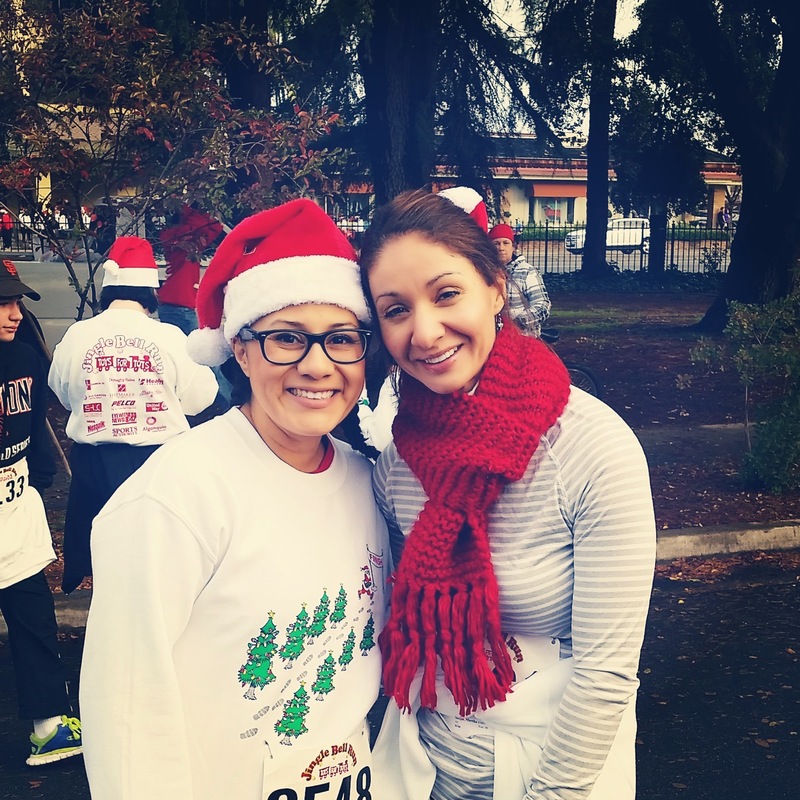 Have you ran a festive 5k recently? Do you make any donations during the holidays?